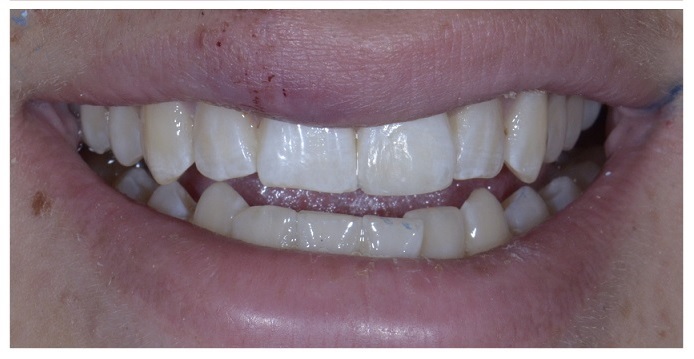 Composite bonding and composite veneers can be a great, low cost way to change the appearance of your front teeth. This poor guy took a spill on his bike last week. Unfortunately his tooth took most of the impact, but fortunately the tooth wasn’t beyond repair. We were able to see him that same day and repair the tooth so that he could get back to his smiley high school life. I used aesthetic composite bonding to make the tooth look natural again. Now this isn’t just any composite bonding! We used 5 different shades and translucencies in order to make it match just perfectly. Think you’d like to change the appearance of your front teeth but aren’t ready for the commitment of crowns or veneers? Composite bonding is an excellent choice in many situations. It’s more cost effective (often times, more than half the price), more conservative, and we have to remove much less tooth structure. Take a look at some of the results we’ve had!